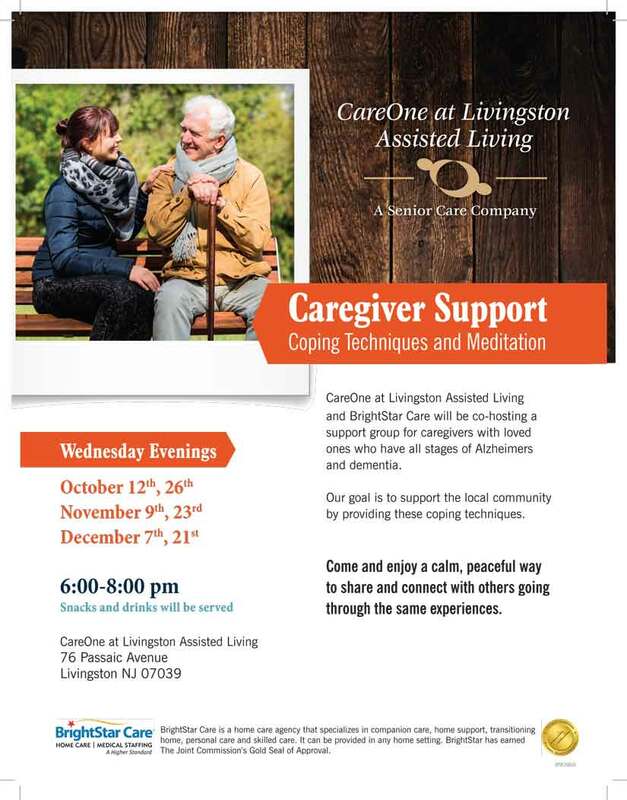 Caregiver Support Event - Coping Techniques and Meditation | BrightStar Care " "
CareOne at Livingston Assisted Living and BrightStar Care will be co-hosting a support group for caregivers with loved ones who have all stages of Alzheimers and dementia. Our goal is to support the local community by providing these coping techniques. Come and enjoy a calm, peaceful way to share and connect with others going through the same experiences.